Rollaball successfully reached its fundraising goal on Saturday, 22 September 2012, on Kickstarter, the world’s largest funding platform for creative projects. Big World Cinema’s documentary-in-progress raised $38 577 from 294 funders across the planet, making it the most successful Kickstarter movie project from an African production company. In addition, Rollaball is now in the top 3% of all funded projects on Kickstarter that have raised over $20 000. Big World Cinema’s Steven Markovitz is producing the documentary. Steven co-founded Encounters, Africa’s most prestigious documentary festival; co-produced MTV’s Best African Movie 2010, Viva Riva! ; and is producing the upcoming Jambula Tree, winner of the Arte Prize for Best Feature Film Project at Durban International Film Festival 2012. 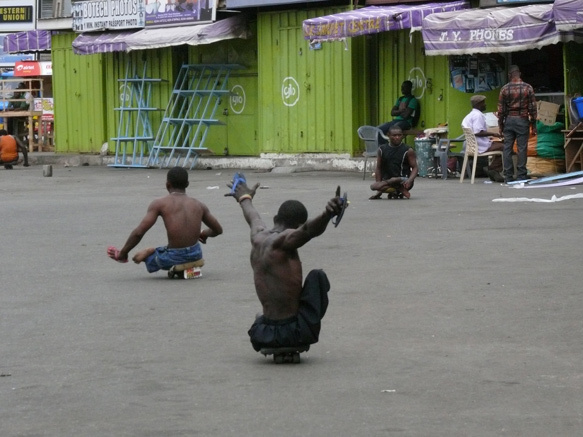 Rollaball’s campaign had funders from five continents and received high-profile endorsements from the likes of Ghanaian Black Stars internationals Michael Essien and Sulley Muntari; paralympian and 2012 torch-bearer Anne Wafula Strike; and World Cup Skateboarding, as well as Disabled Peoples’ International’s world chair Javed Abidi; The UN Special Rapporteur on Disability; The Africa Decade of Persons With Disabilities; and South Africa’s Department of Women, Children and People With Disabilities. It also received support via social media from Golden Globe winner Mia Farrow, Pakistani cricketer Shahid Afridi, and award-winning science fiction novelist Lauren Beukes, among others. In addition to its Kickstarter success, Rollaball has received production funding from The National Film and Video Foundation of South Africa, won the Puma.Creative Catalyst Award in partnership with Britdoc Foundation in 2011, and been selected out of 571 entries for the prestigious Sheffield Doc/Fest in 2012. New associate producers include Kevin Kriedemann, Ian Learmonth, The Nerves of Us and Polio Survivors & Associates Rotarian Action Group. For more information, visit rollaballmovie.com. Director Eddie Edwards and producer Steven Markovitz are available to discuss the pros and cons of Kickstarter and what they learnt running the most successful crowd-sourced funding campaign for a movie by an African production company.